Disclosure: This is a sponsored post. We received compensation and courtesy product from Nuheara in exchange for our honest review only. All opinions expressed here are our own. By Dean Stephens Last updated Mar 5, 2019 We may get a commission for purchases made via our links. Here's why. If you suffer from mild to moderate hearing loss but you’re not ready to make the mental or financial leap to a hearing aid, IQbuds BOOST may just be the quality-of-life-transforming technology you’ve been searching for. I’ve played guitar since my freshman year of high school. And in my teens and early 20’s, I played in bands. Punk rock bands. With our amps turned up to 11 (naturally). And of course, we always practiced in cramped little garages with horrible acoustics. Around that time I also went to a lot of shows to watch other bands play. I can still remember one particular show where I stood so close to the front speaker that I could literally feel every beat of the bass drum throughout my entire body. How do you think my poor ears felt with no earplugs in? As I got older and wiser, I would always wear earplugs to band practice. But for some reason, I still didn’t wear earplugs to shows. Vanity, I guess? And while I’m not in bands or going to as many shows anymore, I’ve always quietly wondered whether I did any long-term damage to my ears through my peak years of audio-stupidity. 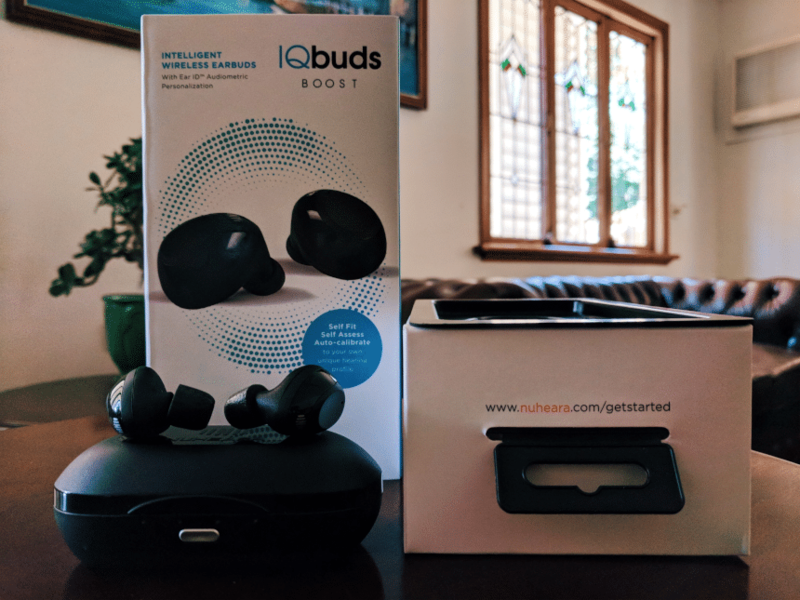 So, when Nuheara reached out to ask if we’d be interested in trying out their latest earbuds product, IQbuds BOOST, I jumped at the opportunity. A key feature of BOOST is Ear ID—a proprietary hearing assessment done in less than 10 minutes via their app. To be clear, I haven’t noticed any problems with my hearing to the point of where I’ve felt the need to see an audiologist. 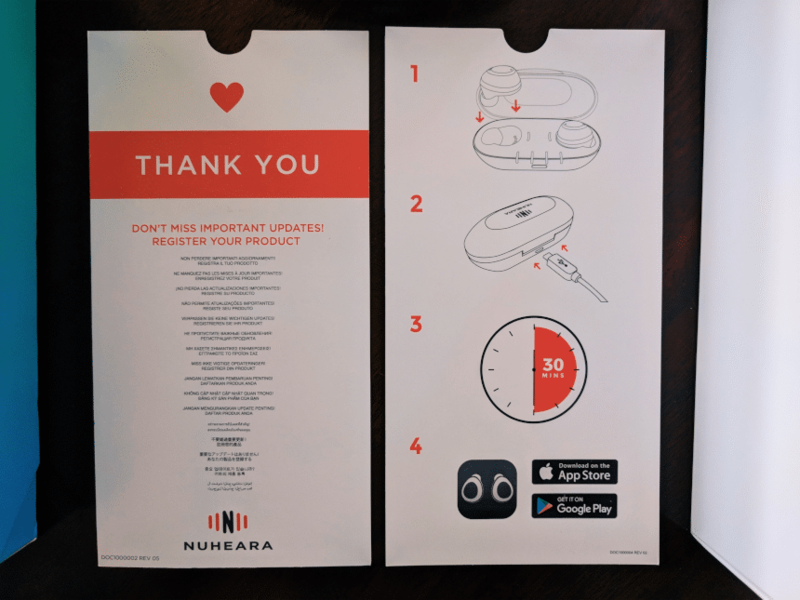 But I figured this would give me the chance to assess my hearing, test some exciting looking audio tech, and give you guys some insight into Nuheara and the IQbuds BOOST by sharing my experience. Sounds like a plan? Well, let’s get to it. Nuheara is an audio wearables company that develops and produces proprietary hearing augmentation technology. The company has co-headquarters in Perth, Australia and San Fransisco, USA, with an additional office in New York, USA. 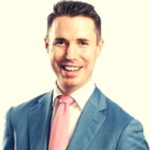 On the back of a hugely successful crowdfunding campaign in 2016, Nuheara rose to international prominence shortly after with the release of its first wireless earbuds product, IQbuds. 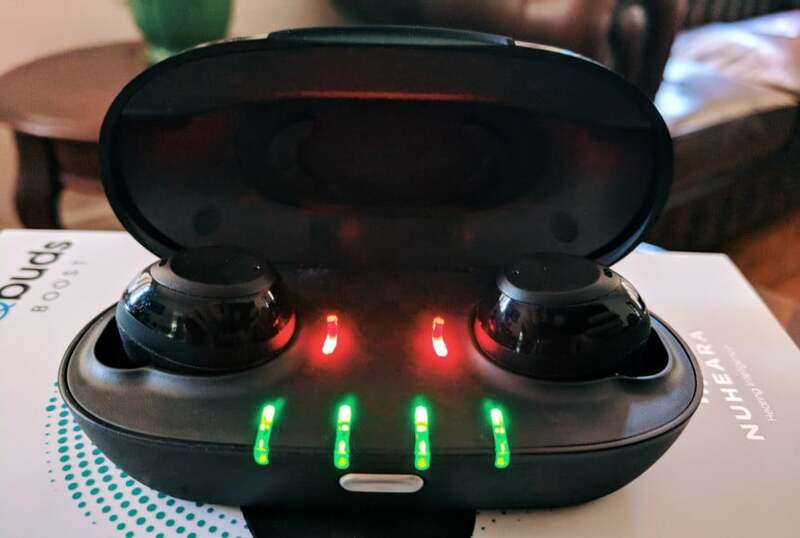 Their IQbuds have been described as an innovative mix of an assisted listening device, a noise-canceling headset, and a Bluetooth earpiece, all rolled into a pair of wireless hearables that connect seamlessly to smart devices. IQbuds BOOST vs IQbuds: What’s the Difference? The IQbuds BOOST has Ear ID which is a proprietary hearing test included as part of the official IQbuds app (which now also has a much cleaner UI). 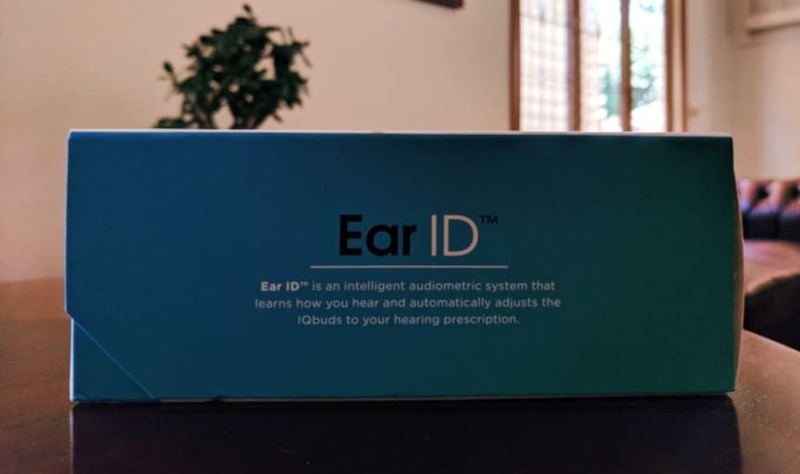 Take the Ear ID assessment and the technology will generate your own unique hearing profile. This profile is then used to calibrate your IQbuds BOOST so that it’s personalized to both your left and right ear hearing strength. Low latency streaming for TV listening. This currently requires the purchase of a 3rd-party audio transmitter. The IQbuds BOOST comes with three Comply foam tips included for better isolation (the medium sized one is already attached in the box). The original is black and silver; the IQbuds BOOST is all-black. The IQbuds BOOST has larger internal batteries and better Bluetooth profile support. Price—for any product, new features come at a cost. The IQbuds BOOST is up to 40% more expensive than the IQbuds. I know what you’re probably thinking. That’s a heck of a lot of changes—is anything still the same? Well, there are still a few consistencies. 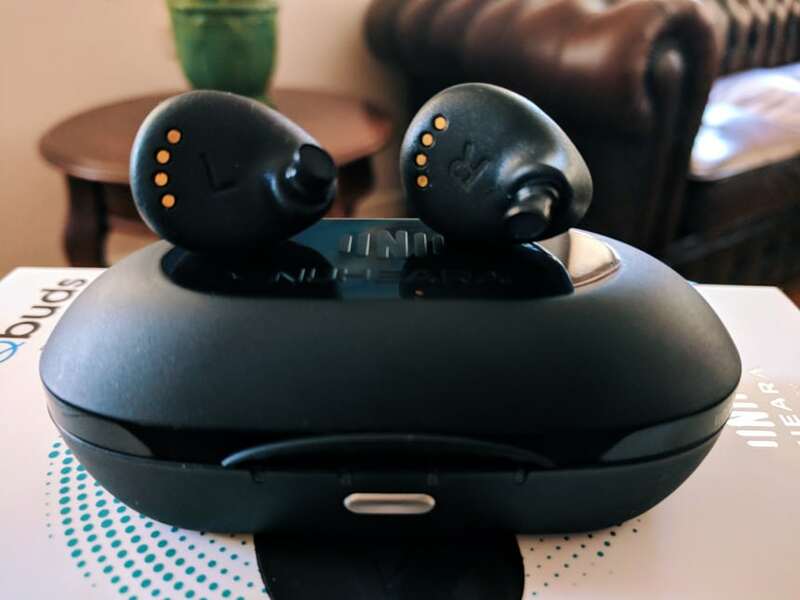 Both products use the same balanced armature drivers, as well as augmented hearing and the SINC world on/world off feature and location presets. Tap Touch is also still there, which means you can simply tap each earbud with your finger to perform a range of commands, such as pause/play, turn on/off your world noise, or activate your device assistant (like Siri or Google Assistant). These can all be customized in the IQbuds app. Some hardware elements also remain the same such as the physical shell of the earbuds and the charging case. 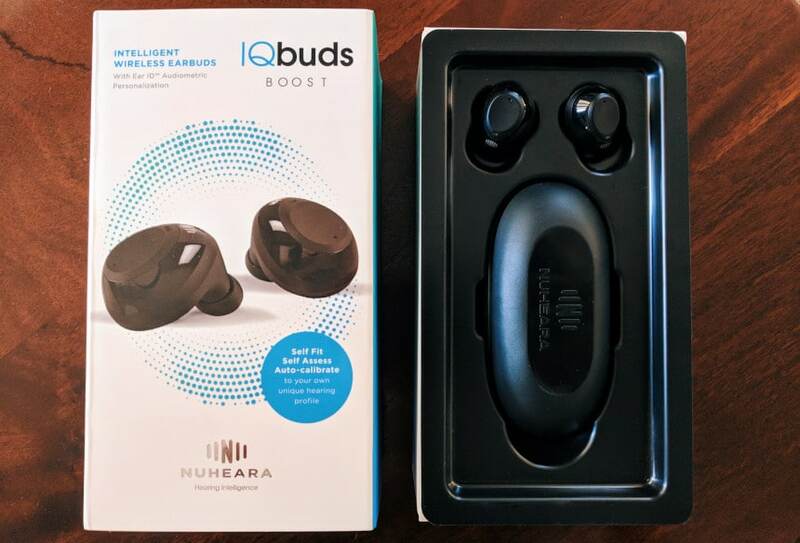 The team at Nuheara sent me a pair of IQbuds BOOST to play with. I’ll run through my initial impressions on unboxing and then I’ll then detail my experience with the IQbuds app and Ear ID. I’ll then wrap up the review with my thoughts on how they measured up after a few weeks of use. 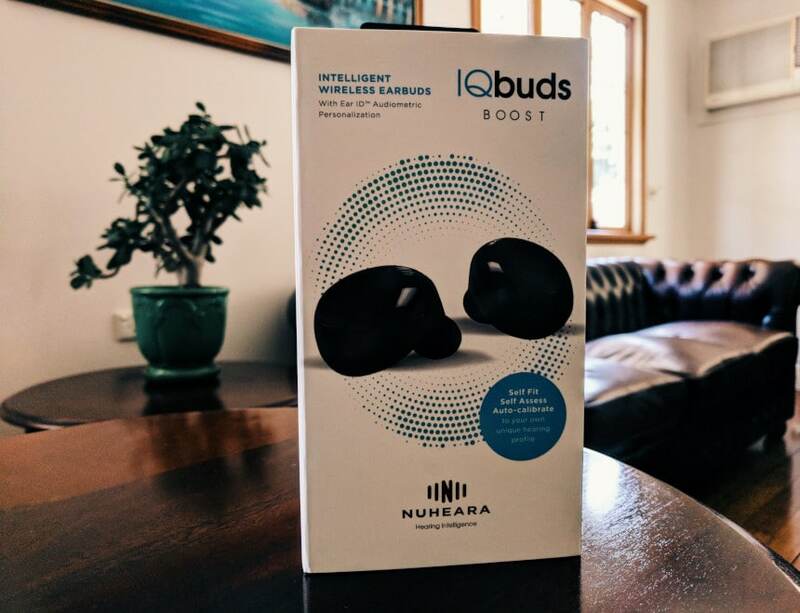 My Nuheara IQbuds BOOST arrived in clean and professional looking packaging. Featuring a foldable flap with a clear window so you can see the buds inside—the packaging has a quality feel to it overall. Removing the inner box revealed the earbuds and the charging case sitting within a sunken plastic shell. Out of the box, the earbuds had the medium size Comply foam tip already attached. Below the plastic case, I found a thank you note and a quick-guide instruction sheet for getting the earbuds charged and the app downloaded. You can begin setting up the earbuds on just 30 minutes of charge. But for the best results—Nuheara recommend charging for four to five hours or overnight on your first charge. 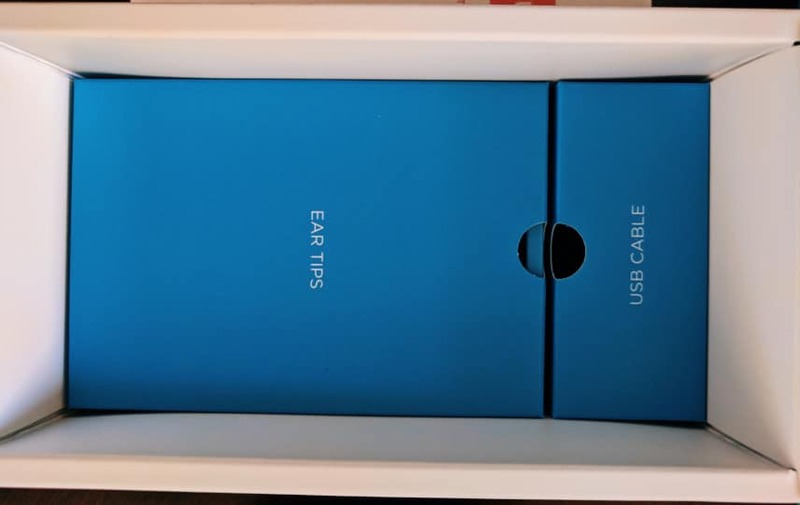 The final inclusion in the box is another compartment which houses the ear tips and the USB cable for charging. I also found a more detailed product + safety information booklet in here. Charging is really easy. Simply insert the earbuds into the charging case and connect it to any USB port. There are lights that light up for each individual earbud to indicate charging levels. You can also press the silver button once to see the earbuds charge status. Press and hold for three seconds to see the charge case status. When it comes to the tips, with the IQbuds BOOST you can now opt for either the Comply foam tips or Nuheara’s own silicon tips. There are three Comply tip sizes included—the small and large ones are packaged in the box—while the medium one comes already attached to your earbuds. These are made from a foam which is designed to expand to fill your ear canal. For Nuheara’s silicon tips, there are eight sizes to choose from, four for oval shape and four for round shape. They’re more rigidly constructed—the idea with these is that through trial and error, you choose the best size and shape for your specific ear canal. My advice is to give both methods a try. It doesn’t really matter which you go with. You want to keep trying them and adjusting them back and forth until you find a pair that is comfortable and secure. If you’re not sure, don’t worry. The Ear ID test will also confirm whether you’ve selected ear tips that seal your ear properly. Oh, and you’ll also note the really small oval things included below the tips. Make sure you don’t throw these little guys out. You’ll want to place these on the tips of the earbuds to stop earwax getting in and messing with the electronic components. The IQbuds app is available on the App Store and the Play Store. I’m a big fan of the UI. It’s really clean and simple. On initial setup, the app guides you through the entire process with plenty of diagrams to help you along. From making sure you put them in the correct ear, through to pairing them with your phone’s Bluetooth. Once setup is complete and your earbuds are paired with your IQbuds app, you can customize them completely to your taste. Want to drown out those annoying gossipers who sit behind you at work and distract you all day? Simply jump in and turn the ‘Focus’ feature on in your ‘Office” location preset. Now, when you switch to your ‘Office’ location by doing a long tap on your right earbud, you’ll be able to hear your co-workers, but all sound behind you will be suppressed while any sound in front of you will be sharpened. You can also adjust the world EQ as well as the world noise and speech balance for each location preset as well as edit your Tap Touch settings for each earbud. One of the first things you’ll want to do with BOOST is run the Ear ID to generate your unique hearing profile and calibrate your earbuds accordingly. You’ll want to do this in a quiet room. Regardless, the first step tests for background noise, and won’t let you proceed if it’s too noisy. The second step tests your isolation to make sure that you’ve got the correct tips attached and that your earbuds are deep enough in your ears. Once you get the green light on both of these, you can proceed to the actual Ear ID (hooray!). The test itself is as easy as you tapping a button when you hear sounds at different volumes and pitch levels. It takes less than 10 minutes for both ears to be tested. It’ll then generate your Ear ID profile and calibrate your earbuds accordingly. Following that, you’re presented with a diagram which represents the strength of your hearing for both ears. You’ll learn where your weaknesses are on pitch level specifically and in which ear. To my surprise, my Ear ID results show that I have perfect hearing in my left ear, whilst I have only a small weakness in my right ear on low pitched sounds. It appears that my hearing survived the audio-torture of my youth. For now, at least. You can redo the test, and thus reset your Ear ID profile, at any time. Aesthetically, I love the look of the IQbuds BOOST. The all-black finish looks really slick. Disclaimer—I do have a personal preference for all-black electronics. From the earbuds to the charging case to the tips—all of the materials have a high-quality feel to them. The earbuds are durable, and the charging case closes and opens effortlessly. The inclusion of Comply tips means you have 11 tips to try on. Through some trial and error, you’re essentially guaranteed to find the perfect fit and optimal comfort, as I did. The seals are excellent and don’t fall out, no matter how rigorous your movement. The sound quality is good and will be more than adequate for most. The audio sounds better than stock earbuds like AirPods. The tap feature is a great feature and really convenient in that you don’t need to pull your phone out as often. The world on/off feature (combined with the tap feature) is really handy for a lot of situations. For example, I love it for when I’m on a run and I have to momentarily cross a busy road. The IQbuds app interface (including Ear ID) is so clean and simple that anyone could use it. Offers fantastic value for money if you have a little bit of hearing loss but a hearing aid would be overkill. The IQbuds BOOST looks great aesthetically, but they’re quite bulky when they’re in your ear which makes them very noticeable. To others it simply looks like you’re wearing earbuds, it may come off like you’re being inattentive. They’re very comfortable overall but I find I have about a three-hour limit after which I start to feel discomfort and need a break. Because you create a seal around your ear canal, you get an occlusion effect. This means you can hear your own voice as quite boomy and loud when you’re having conversations. And you don’t really ever get used to it. For music—while the sound quality is good, it’s still a little weak in the mid and low range frequencies (despite tinkering with settings). The sound quality isn’t as impressive as high-end earbuds which may disappoint you if you’re an audiophile. As a piece of technology, the IQbuds BOOST impresses me. A lot. Combine that with the simplicity of the IQbuds app, the excellent customization, and the utility of the Ear ID test and you’re really getting a high-quality product here. But because I’m fortunate to not have any major hearing weaknesses, many of the features such as voice augmentation, Focus, and even Ear ID itself, aren’t of use to me on a daily basis. And so personally, this wouldn’t be a value for money purchase for me at this price point. In saying that, they have become my new go-to earbuds for exercising—and that includes going to the gym, walking the dog, going for a run, and really anything else that involves being out and about. Their durability and fit, combined with features like the world on/off and the convenience of the tap, make them better than any other earbuds I’ve ever owned for that purpose. And the sound quality is more than adequate for me for those activities. 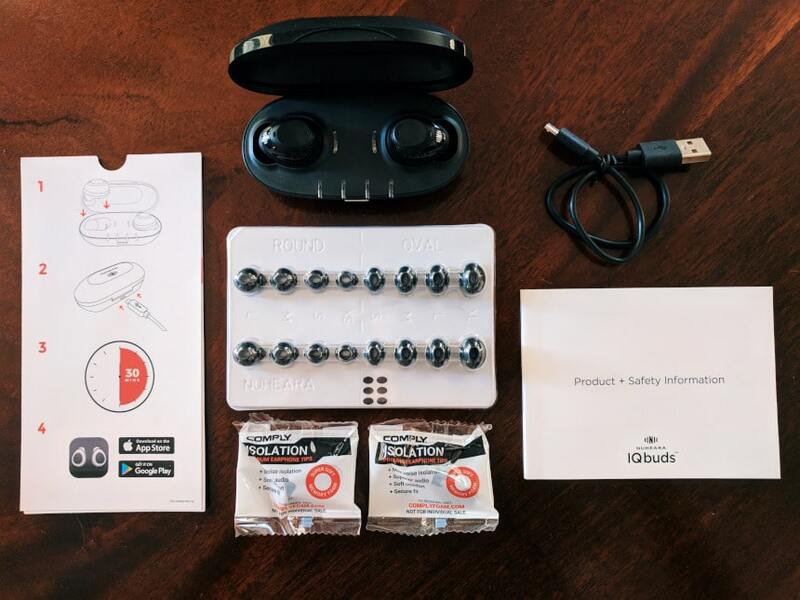 Is IQbuds BOOST For You? If you have mild to moderate hearing loss but you’re not quite ready to take the mental or financial leap to a hearing aid, then the IQbuds BOOST might be exactly what you’re looking for. Particularly if you find it difficult to hear in social settings or in locations with heavy background noise such as restaurants or bars. Considering that you’ll likely pay over ten times the price of BOOST for a hearing aid (and more for testing and visits to an audiologist), BOOST really does offer fantastic value for money if you fall into this bracket. And as I’ve attested to, they have the side-benefit of being excellent Bluetooth earpieces to boot. The main question to ask yourself is ultimately this—how much would a boost in your hearing improve your quality of life?